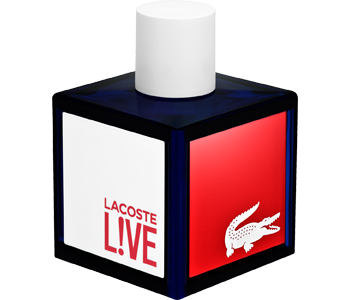 Lacoste Live is the distinctive and innovative pillar in the Lacoste fragrance family, tapping into more edgy territory with a playful spirit. It mixes impeccable style with colourful, contemporary inspiration, reinventing the rules of elegance and never taking itself too seriously. Lacoste Live stands out with its unexpected and energetic fragrance, blending notes of zesty lime, aqueous green leaves and sensuous liquorice to create an eau de toilette that is expressive, dynamic and completely exciting.